What was on the cards for some time, has now been confirmed by LH Cargo management. The German cargo carrier’s board of directors have given their OK to acquire a further two Boeing 777 freighters and the order was placed with Boeing already in May of this year. The aircraft will be based in Frankfurt and it is assumed that they will be used by Lufthansa Cargo and not exclusively by Leipzig-based Lufthansa / DHL daughter company AeroLogic. The two additional freighters which will be delivered in February and March of 2019, will bring LH Cargo’s triple-seven freighter fleet up to seven aircraft. The new B777 production freighters are expected to replace some of the aging MD-11 freighters still in LH Cargo’s fleet. The MD-11s may well fly for some years however, as the demand for capacity is still strong. 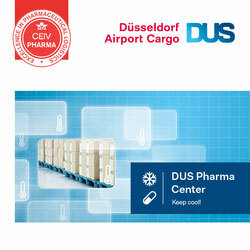 In other news, Lufthansa Cargo and Swiss WorldCargo jointly received DHL’s Care Award. The award recognises both carriers for their excellent handling and safe transport of temperature-sensitive science life shipments. In its latest trend barometer, DHL delivers an in-depth survey of 28 significant social, business and technology trends which they say will profoundly transform the logistics landscape.On top of their list stand customer-centricity, sustainability, technological innovations and employe satisfaction. These fields of activities, intertwined with each other, take centre stage, impacting the logistics industry massively. The survey named ‘Logistics Trend Radar 2018/19’ is based on inputs coming from more than 10.000 logistics professionals and technology experts. Key message of the finding is that innovation will be more important than ever, as digitalisation drives the biggest transformation seen in the industry in coming years. “Our Logistics Trend Radar acts as a roadmap for innovation, helping to structure and catalyze further industry-leading research and projects together with our customers and partners,“ states Matthias Heutger, Senior VP, Global Head of Innovation & Commercial Development at DHL. 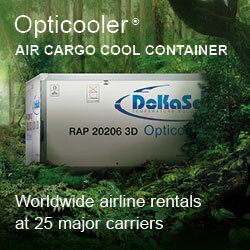 In order to view the 28 trends - visit www.dhl.com/trendradar. 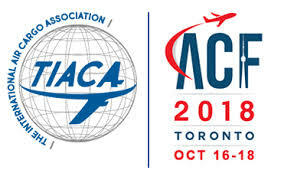 The TIACA Air Cargo Supply Chain Internship is being expand this summer in order to assist young Canadian airfreight professionals to further develop their management skills, especially in supply chain collaboration. Alongside the internship programme, the TIACA run Professional Development Workshop Programme designed by Montreal-based Strategic Aviation solutions (SASI), aims at further enhancing the management skills of air cargo professionals. 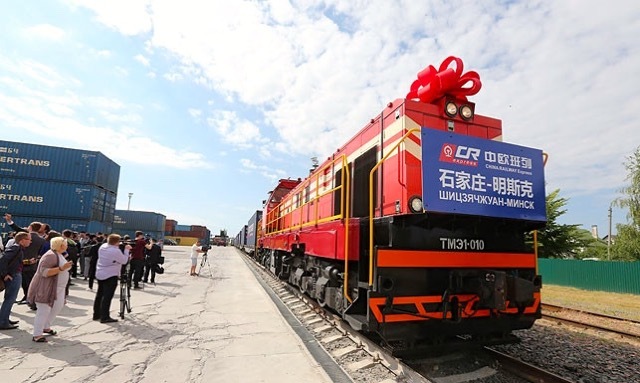 The first container freight train connection between China and Belarus has been inaugurated with a service operating from the Chinese Hebei province city of Shijiazhuang to the Belarus Railways Belintertrans (BTLC) terminal. The total journey time for the 9,500-kilometer stretch was 15 days. It is expected that there will be between 3-4 monthly frequencies on the route in the near future. The booming business between Belarusian and various Chinese manufacturing plants has been the reason for initiating this new cargo train service. It is said that there are even plans to extend the service through Belarus into Western European cities in the future. This is all part of the Chinese government’s backing for expansion of the China Belt and Road initiative. In their review of May 2018 cargo results, WorldACD Market data shows that although yields for May dropped 3% below those of April this year, that overall yield continues higher than within the same period last year. Average yield for May is listed at being US$1.88 per kilo. This still represents a 14% increase over yields in May 2017. The WorldACD findings show that although the market in May 2018 was still strong, that there is a noticeable ‘downward growth trend’ since the beginning of this year. In other words - there is still growth, but decidedly less than that of 2017. Whether worldwide protectionist measures initiated by the Trump administration will swamp over to other countries, still remains to be seen. Chinese reactions to Trump’s decrees are expected to be just as harsh and this escalation could quite easily result in a shift of consumer priorities which may very well negatively affect air cargo growth. Menzies Aviation has won a new three year contract for air cargo handling in Australia for Virgin Atlantic flights to Melbourne, Brisbane and Sydney. The Melbourne contract took effect as of June 8th, Brisbane followed on July 9th and Sydney will start on August 7th. Cargo volumes on Virgin Atlantic routes into Australia have risen by over 30% during the first quarter of this year. Export revenues from Australia are said to have also increased considerably during the same period. Virgin Atlantic also markets the cargo capacity on Virgin Australia’s daily service from Sydney to Los Angeles as well as their Melbourne- Hong Kong flights. Virgin Australia have also started a new daily Sydney-Hong Kong service which is operated with an Airbus A330 aircraft. Virgin Atlantic will also be responsible for cargo sales on this sector and they say that they expect a high demand for space on this operation as well. Belgium’s Liege Airport has obtained Level 2 Accreditation from the Airports Council International Europe (ACI Europe) for their efforts in improving environmental issues. The Air Carbon Accreditation which was set up by ACI Europe was developed to encourage airports to work at reducing their carbon dioxide emissions. There are four different levels for the accreditation; all of which have to be met before an airport can receive Level 2 status. Liege has among other aspects, accomplished this by acquainting their staff with environmental practices as well as using geothermal energy for heating and the acquisition of electric or hybrid vehicles on airport as well as purchasing 100% green electricity. Liege Airport states that they are working on further measures to improve the environment. These include new insulation for buildings, installing automatic shutters and the construction of low energy buildings in new warehouse and office building plans.